The Swindon Music Festival is affiliated to the British and International Federation of Festivals and is also a Registered Charity (No 1030721). The Swindon Music Festival was founded in 1909. A one-night choir festival at the Mechanics Institute became the basis for the Swindon Music Festival and has been held annually ever since. The contest was the idea of R G Cripps who became mayor of Swindon in 1938. After attending an eisteddfod he decided to organise one in Swindon for which there were six entries. The following year the Swindon and District Free Church Council Eisteddfod was founded, this time extending to two days of competitions with 46 entries including vocal and instrumental soloists as well as choirs. By the mid 1920s the eisteddfod lasted a whole week and attracted more than 400 entries. In 1938 Diana Fluck – later to become actress Diana Dors – competed in a recitation class for girls aged 7 to 10 years old. Records also show that in 1988 and 1989 a certain Jamie Cullum (the young jazz celebrity) competed in our under 9 piano solo and piano duet classes. The object of the Swindon Music Festival is to advance the education of the public in the Arts, and in particular the Art of Music, in all its forms. The Festival provides a platform for amateur performance combined with an educational element from professional musicians. The Festival encourages entries from all ages and offers classes for the under 8s up to the mature voice (upper age no limit!). We also offer a wide range of classes including Choirs, Church Choir, Church Organ, Vocal, Pianoforte, Strings, Woodwind, Guitar, Brass, Keyboard, Ensembles and Composition. (See Syllabus for further details). 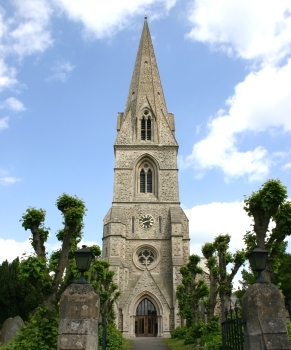 The Church Choir and Church Organ Classes (introduced into the Festival programme in 2006) are held in Swindon’s parish church – Christ Church with St Mary’s, Cricklade Street, and we are very fortunate that we have been offered this facility for our Festival. There is a limited amount of parking in the church grounds and accessible parking is available in nearby public car parks. 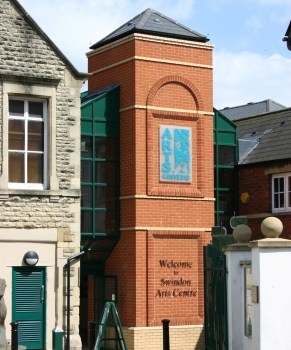 The bulk of the classes are held at the Arts Centre, Devizes Road, Swindon. The Arts Centre is a small intimate theatre seating around 220 people. It was refurbished in January 2003 and there is easy access to the auditorium via stairs or a lift. Recently the Old Town library has moved into the premises which includes a cafe and seating area. Accessible parking is in the public car park behind the Arts Centre. Please click on the links for the British and International Federation of Festivals, Christ Church, the Arts Centre and the SwindonWeb Sites elsewhere in this site for further information.